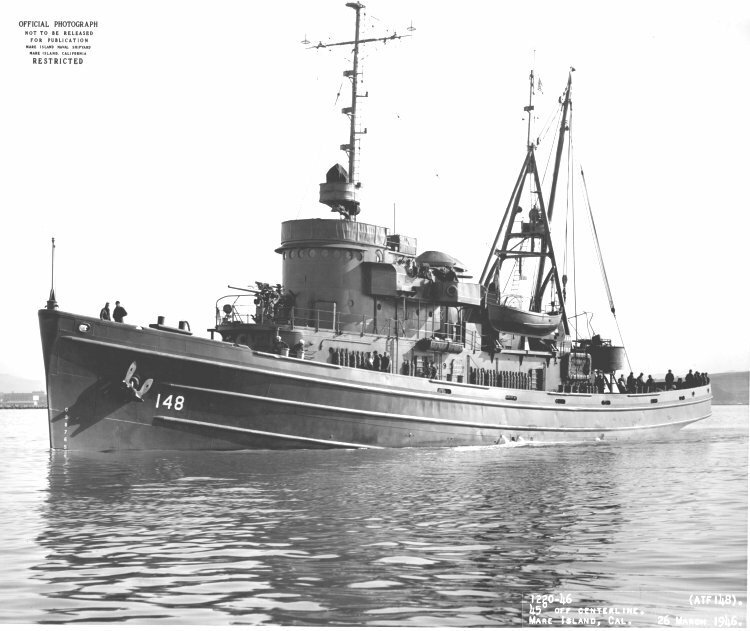 Laid down as (AT-148) at Charleston Shipbuilding and Dry Dock Co., Charleston, S.C.
Decommissioned, 10 June 1947, at Orange. TX. 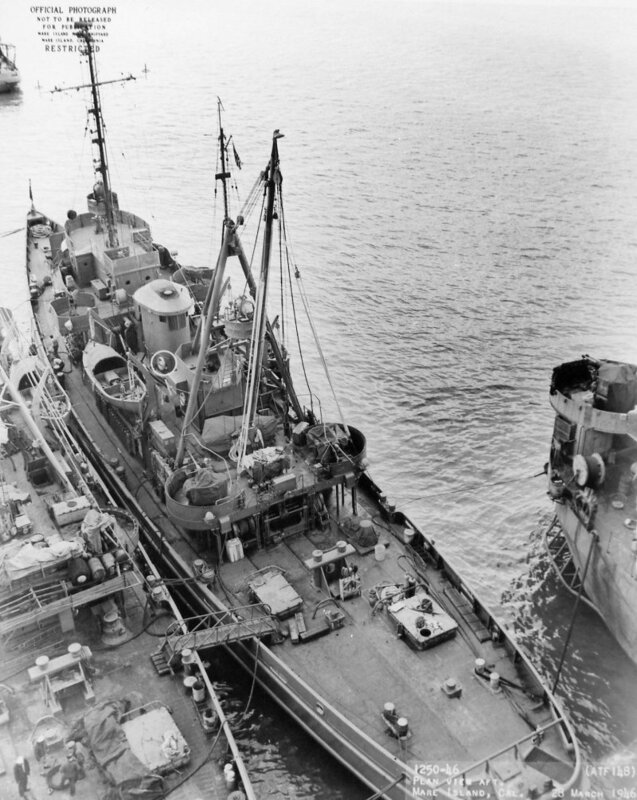 1264k Stern view of USS Achomawi (ATF-148) prior to launching, 14 June 1944, at Charleston Shipbuilding and Dry Dock Co., Charleston, S.C. USS Chawasha (ATF-151) is on the ways just beyond. 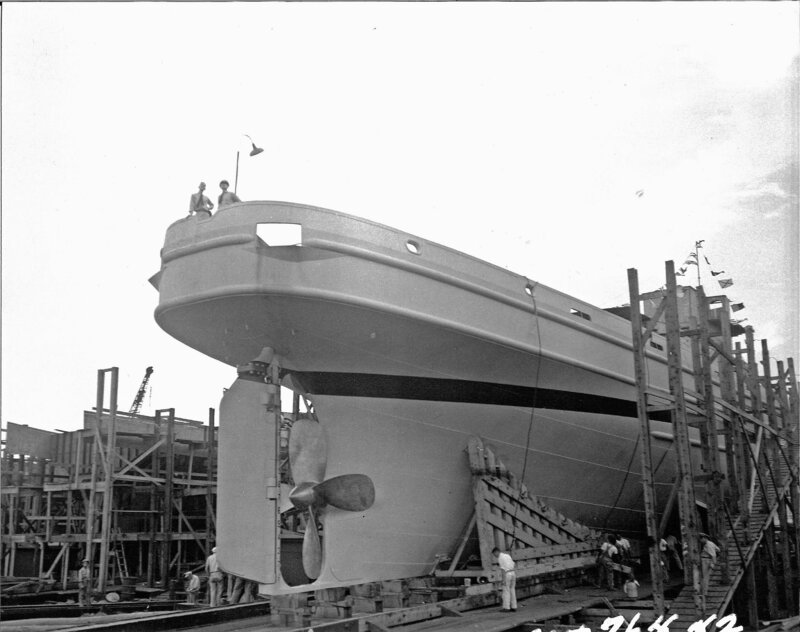 617k USS Achomawi (ATF-148) launching, 14 June 1944, at Charleston Shipbuilding and Dry Dock Co., Charleston, S.C.
Navy Yard Mare Island photo # 1220-46 80k USS Achomawi (ATF-148) off Mare Island, 26 March 1946 at the end of an overhaul period at Mare Island Navy Yard. 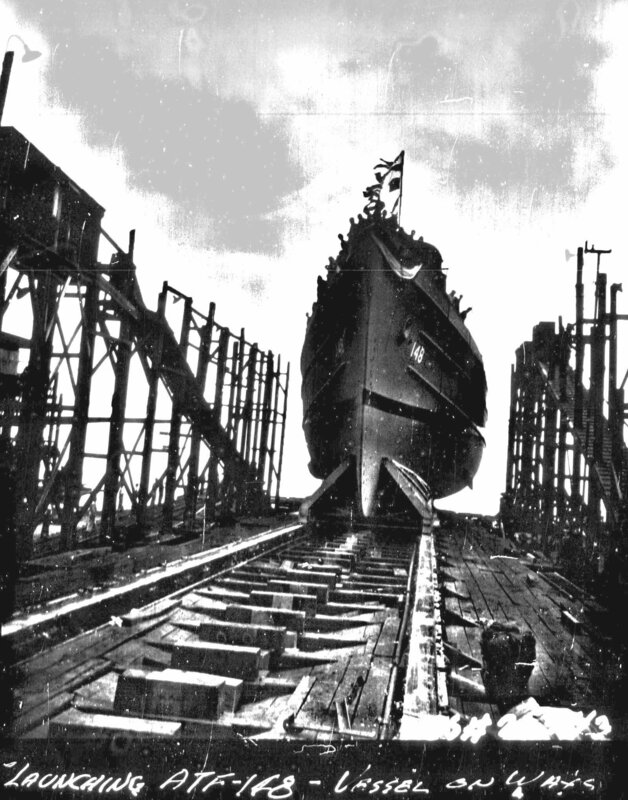 Shipyard records indicate overhaul period started 6 March 46 and was completed 1 April 1946. In this group of fleet tugs a large smokestack as in the Navajo class was restored, but it was shorter and had a large cap. 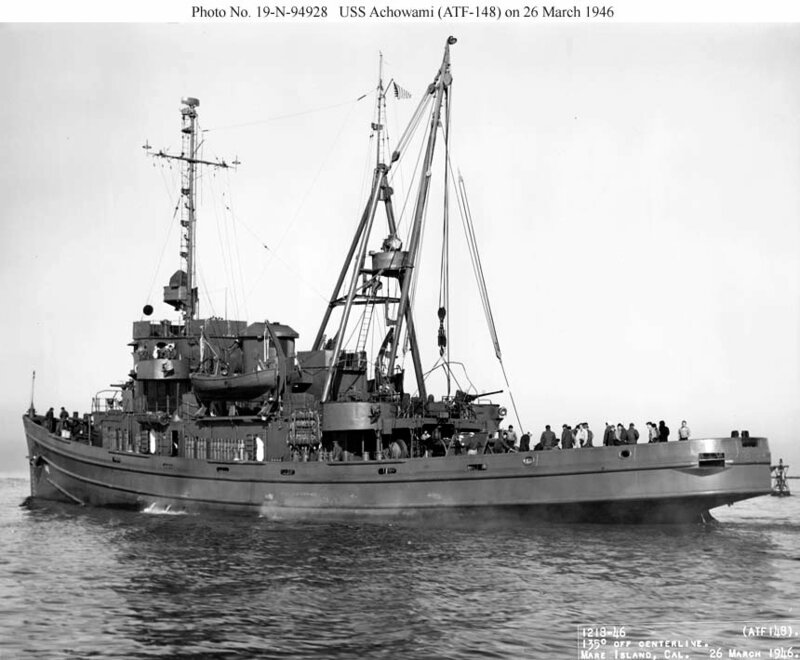 196k USS Achomawi (ATF 148) outboard of USS Munsee (ATF-107) at Navy Yard Mare Island, 28 March 1946. 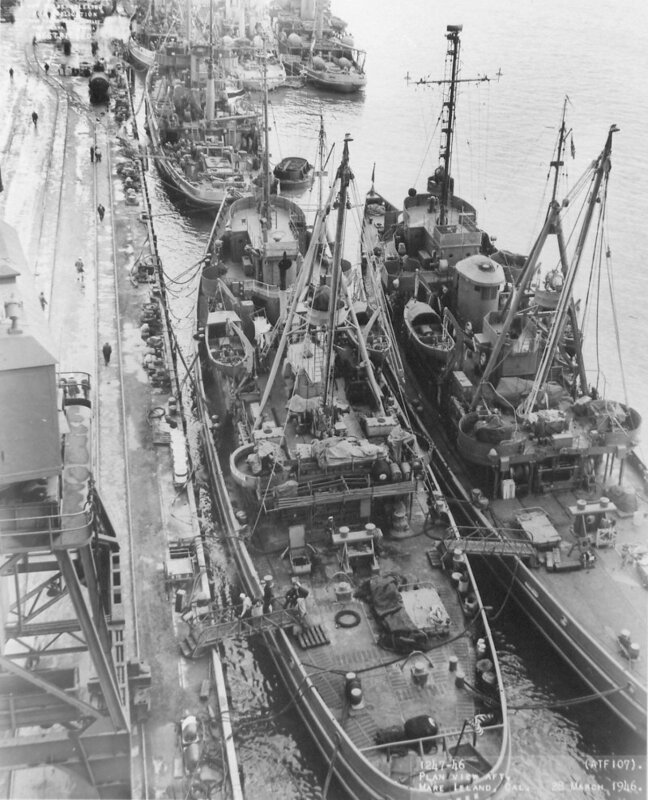 Just forward of Munsee is USS Current (ARS-22) and forward of that ship is (from left to right) are USS Lipan (ATF-85), USS Deliver (ARS-23) and USS Preserver (ARS-8). 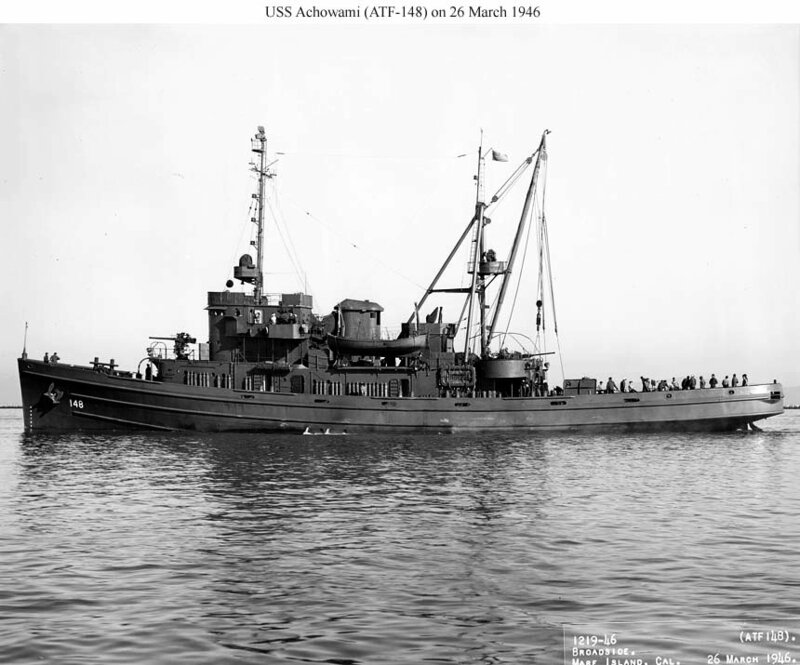 222k USS Achomawi (ATF 148) outboard of USS Munsee (ATF-107) at Navy Yard Mare Island, 28 March 1946. 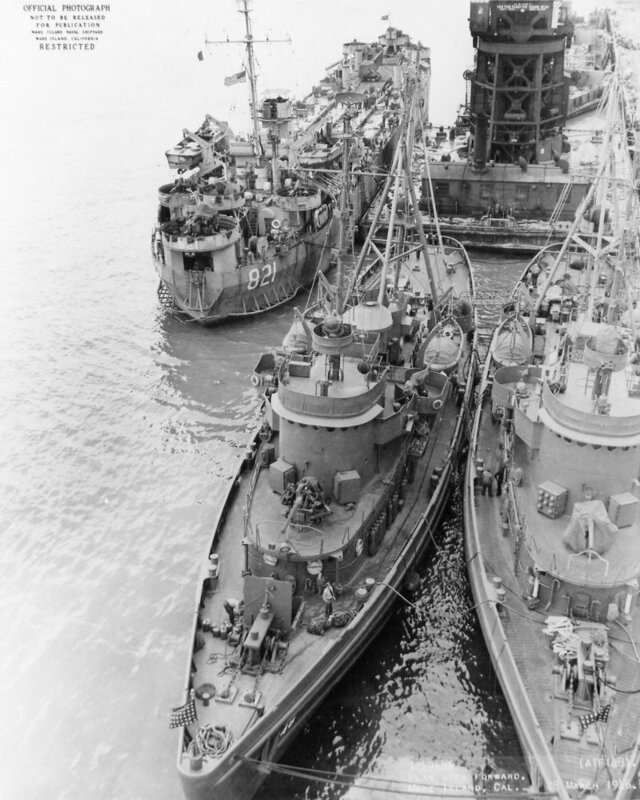 Aft of the two tugs are USS Harnett County (LST 821) and YD-33. 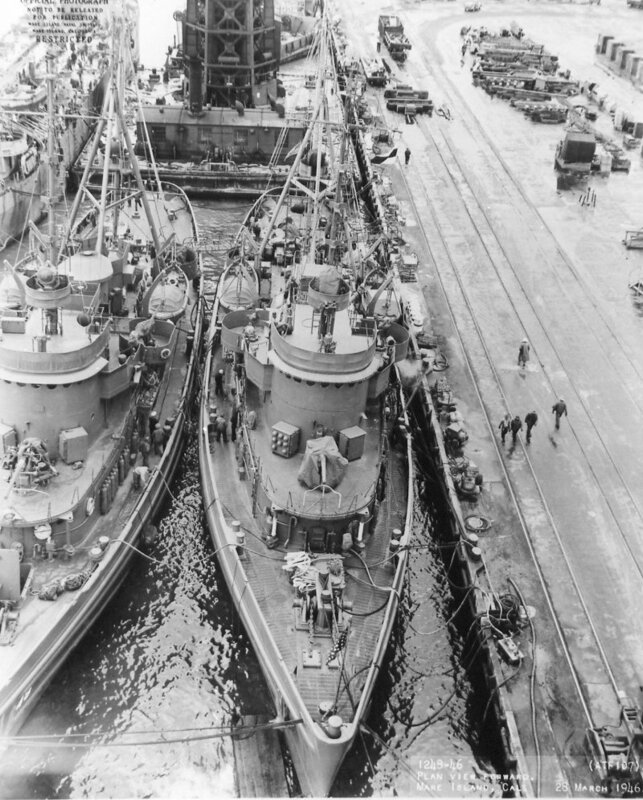 183k Forward plan view of USS Achomawi (ATF 148) alongside USS Munsee (ATF-107) at Navy Yard Mare Island, 28 March 1946. 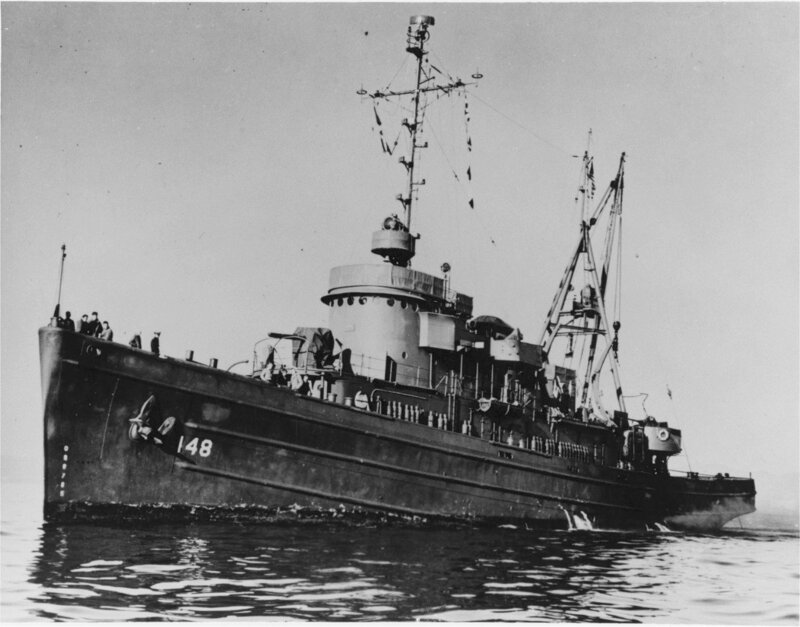 USS Harnett County (LST 821) and YD-33 are aft. 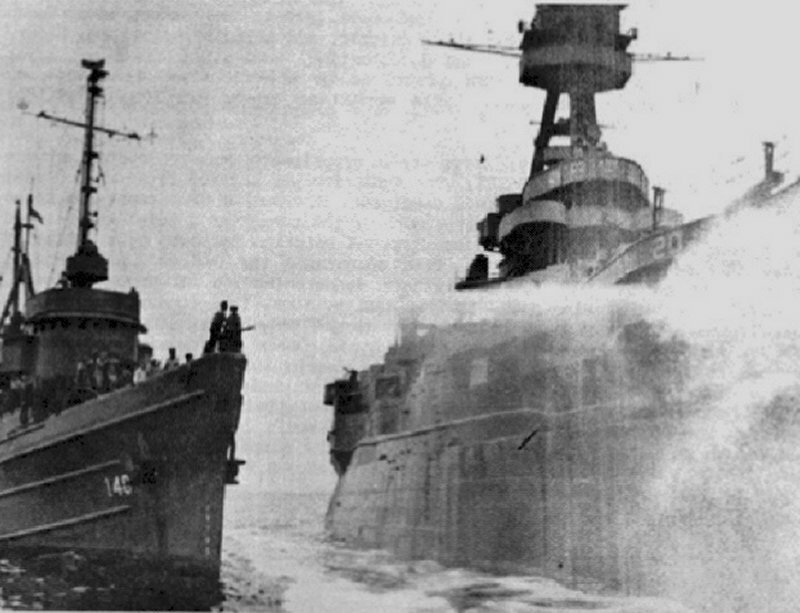 188k Aft plan view of USS Achomawi (ATF 148) alongside USS Munsee (ATF-107) at Navy Yard Mare Island, 28 March 1946. 37k Ex-Achomawi (ATF-148) seen here in Taiwanese service as ROCS Ta To (554) .